My senior year officially starts today. Still wondering where time went. It truly feels like freshman year was just yesterday. I remember my first day of college classes, wondering if I'd ever be able to pass what seemed liked impossible classes, and if I'd ever learn my way around campus. I remember meeting my freshman year roommate for the first time (who has now turned into my roommate of four years! ), my first homecoming, and my first college party. And now I'm entering into my year of lasts. These last 3 years have gone faster than I ever imagined. It's so weird to me that we're now the oldest on campus and the same age as all those seniors I knew freshman year who just seemed so old. In honor of my last year I thought it would highlight my favorite memory from every year! There have been way to many special memories, but I have to say these are some of my absolute favorites that I'll remember forever! Freshman Year // Bid Day! 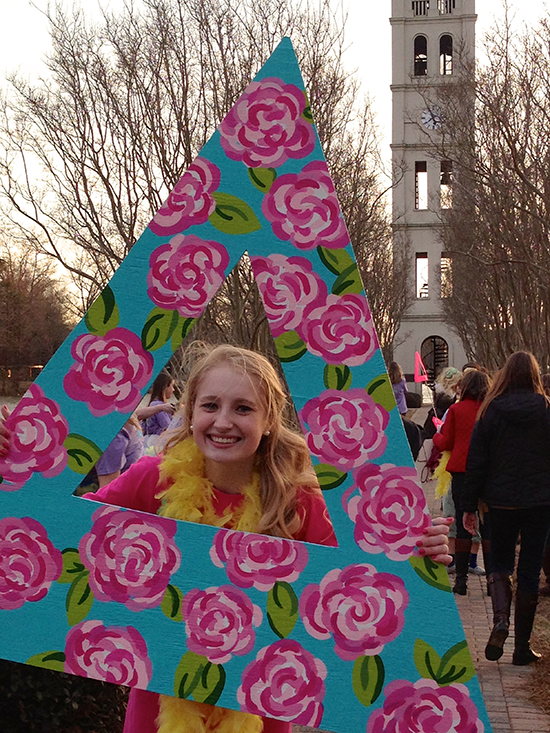 Bid Day freshman year was definitely the highlight of my first year at Furman. I was so excited to join a sorority and immediately fell in love with all the girls in my pledge class. I feel like we were such a cohesive diverse group of girls who all value the same thing and we got a long great from the beginning. It was a day of meeting so many new people and non-stop fun. It's funny to look back now as Panhellenic President on this day and realize that this was just the beginning of my greek life experience. Sophomore Year // My Birthday! You only turn 20 once right?! So so so thankful for great friends who woke me up at 4:45 to cherish every second of my birthday and to take me to watch the sunrise. Definitely one of my favorite college memories! My now boyfriend Emory, even made a video of the whole thing! One of my very best college friends and I studied abroad my first-semester junior year in Italy. 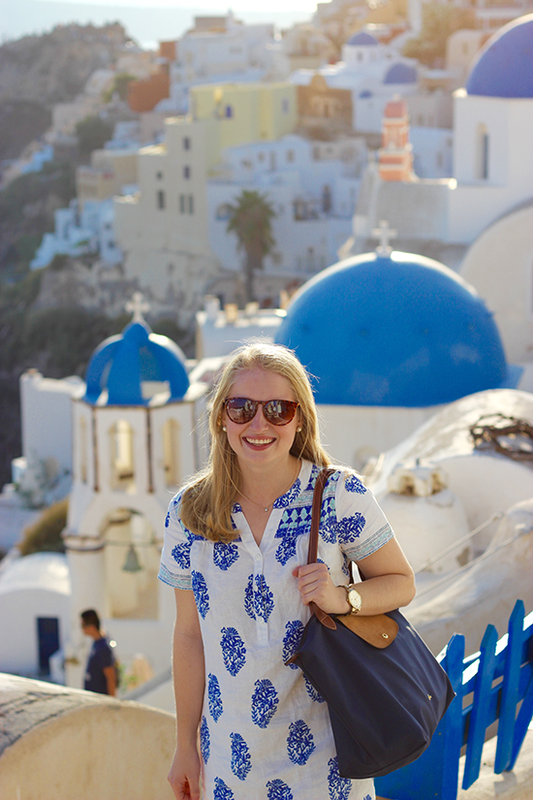 We got to travel to a different place every weekend and it was a dream (Santorini was probably my favorite!). It was such a fun semester and one that I will definitely never forget. Congrats on starting your senior year!! Best of luck! Good luck this year Shannon!